Founded in 1997, Secret Recipe made its mark, renowned for its extensive range of fine quality gourmet cakes. It has since evolved to become one of the fastest growing lifestyle cakes and café chain in the region with over 300 café outlets to date. 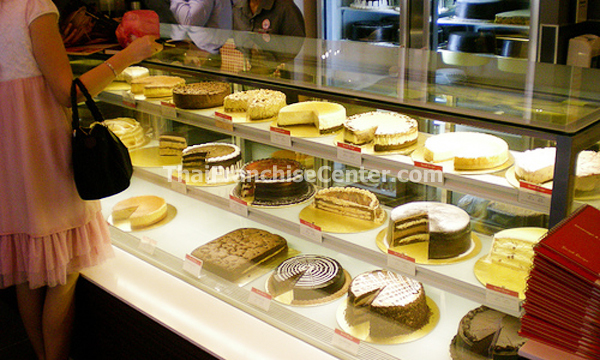 Secret Recipe Cakes & Café's concept can be found in prime urban locations and shopping malls in major cities in the region including Singapore, Kuala Lumpur, Jakarta, Bangkok, Manila, Brunei, Shanghai. Secret Recipe promises a value lifestyle proposition of great variety and quality food at affordable prices. The uncompromising quality of food and desserts using quality ingredients, coupled with moderate pricing, has created a new lifestyle cult, compromising of a loyal base of food and cake lovers. Secret Recipe Cakes & Café offers a friendly and personalised full-service dining experience for customers and incorporates a modern contemporary and vibrant interior concept with comfort ambience, and great food. It provides a great respite for customers to enjoy good food and quality time with friends, family or associates, after a long day at work.